As soon as your order is ready for delivery our transporation company will contact you to set up a delivery day. This will be on a weekday and they cannot tell you an exact timeframe. You can ask if you can call them on the delivery day to get an indication time based on the truck’s route that day. A heads up from the driver about 15 minutes ahead is also possible if you request it. 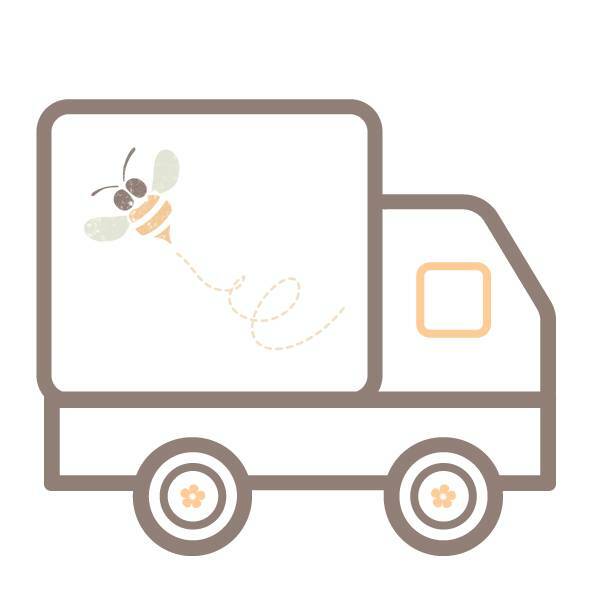 The driver will deliver the items in boxes and generally on a pallet to your doorstep on kerb level. You will handle things from there and will get the items in your home and into the kidsroom or nursery. You will assemble the furniture yourself.